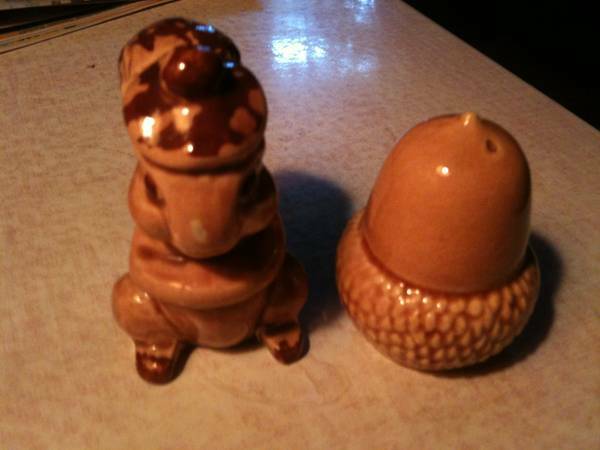 Quirky pair of ceramic salt and pepper shakers from 1940s (provenance known). 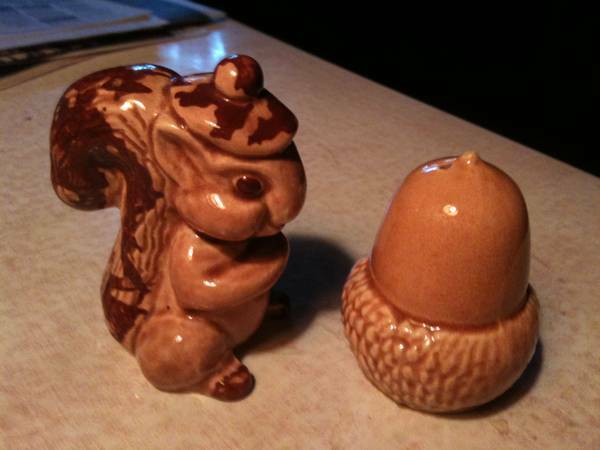 Smug-looking squirrel, 3 1/2 inches high, wears a tam-o-shanter. Left foot has been repaired, decades ago, but hardly noticeable. 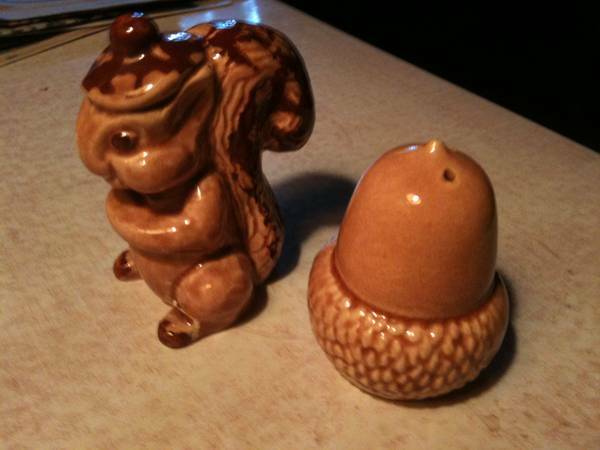 His large acorn is 2 1/2 inches high, a little wear on the tip. Reduced to $7.